Is Hermès’s Newest Bag the Next Birkin? French fashion house Hermès is, without a doubt, most known for its iconic Birkin and Kelly bags—but seemingly unbeknownst to much of the world, the label is always releasing bags with new shapes and silhouettes. Its latest design is a contender for next in line for the throne. The Wall Street Journal just ran a little feature on Hermès’s Octogone bag, which is part of the brand’s F/W 15 accessories lineup. 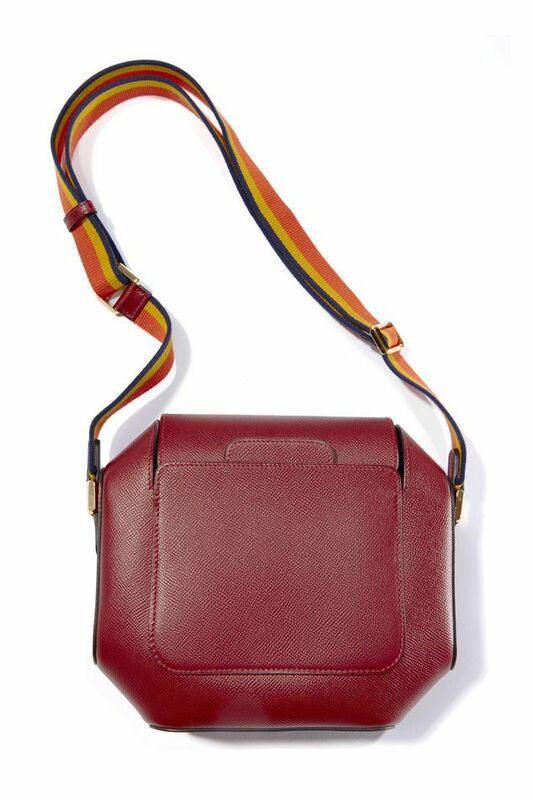 Unlike many of Hermès’s most famous bags, the Octogone has a distinctly boyish vibe, complete with a sporty, multicolored cloth strap. So we want to know what you think: Is the Hermès Octogone bag the next Birkin? Keep scrolling to see the bag, and tell us your thoughts below! What do you think of the bag? Share your thoughts below!